La Grande, Oregon, USA, 1986-présent. Carolina at Chapel Hill, 1977; B.A., University of Iowa, 1975. 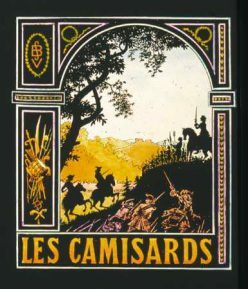 "Heroes or Thieves: Catholic Vigilantes in the War of the Camisards." Proceedings of the Western Society for French History 24 (1997): 365-376. Europe. Bicentennial Proceedings: 1989. Pp. 653-660.
de Rochebonne. Lyon: Archives Départementales, 1983. "Our Poor Allies: The Camisards and His Grace, the Duke of Marlborough." Studies, Arizona State University, Tempe, Arizona, March, 2000.
and the Vann Seminar, Emory University, Fall, 2000. Historical Studies in Washington, D.C., 1998.